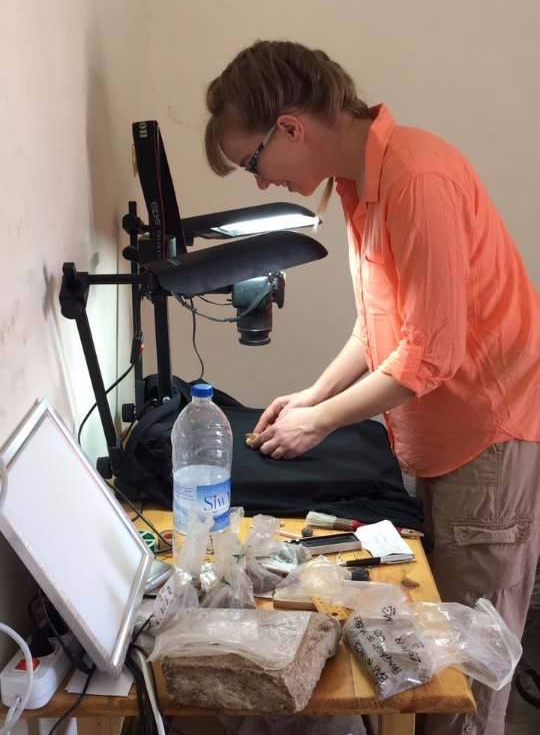 The Nile Scribes are pleased to introduce ‘In the Field,’ a new blog series in which we talk with archaeologists and specialists currently conducting fieldwork to share their sites and projects with our readers. For our inaugural post, we have asked archaeologist Amy M. Wilson to tell us about two little-known Delta sites where an Italian-Egyptian archaeological mission is currently working. Kom al-Ahmer and Kom Wasit are located in the western Delta of Egypt, approximately 50km southeast of Alexandria, in the province of Beheira. Kom Wasit was occupied from the Late Period until the Late Hellenistic Period as proved by the recent excavation of the Italian mission, at which point the settlement was abandoned and its inhabitants migrated 2km south to Kom al-Ahmer. Kom al-Ahmer in turn was occupied from the Late Hellenistic Period until the early Arab Period according to the recent finds of the mission. The large bath complex of Kom al-Ahmer was constructed during the Roman Period and rivals that of its contemporary at Kom al-Dikka (Alexandria) in terms of size and date of construction. The first official visitor to the site was Achille Adriani, who performed a surface collection (but no excavation) at Kom al-Ahmer in 1935. Shortly thereafter, the Antiquities Department conducted a small-scale investigation of the site between 1941 and 1943. Abd el-Mohsen el-Khashshab of the Egyptian Museum in Cairo led a systematic archaeological investigation of Kom al-Ahmer in 1942, and Labib Habachi undertook a small-scale investigation of Kom Wasit in 1944. Both of the Koms were included in the systematic surveys of Penelope Wilson in 2004 and of Mohamed Kenawi from 2008 to 2010. 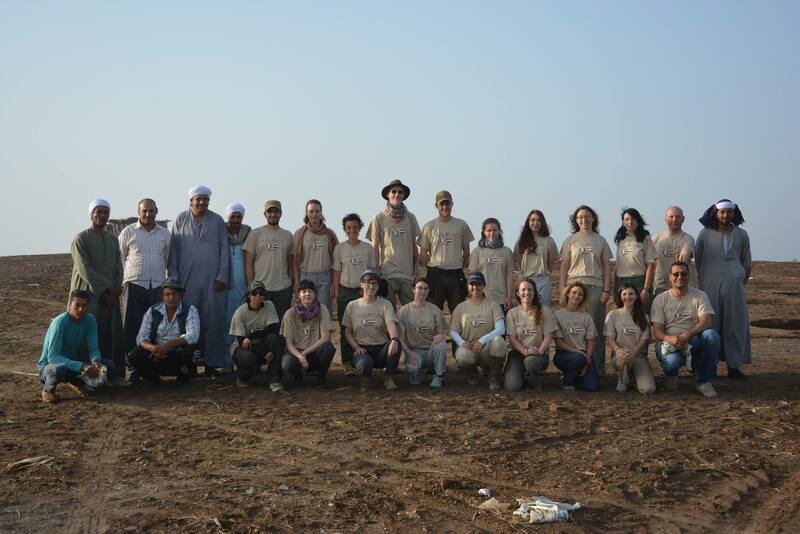 The Kom al-Ahmer / Kom Wasit Archaeological Project, a joint Italian-Egyptian archaeological mission coordinated by the Università di Padova and the Centro Archeologico Italo-Egiziano (CAIE), began work at both sites in September 2012. The overall aim of the project is to uncover and study the history of the two ancient settlements which, according to the current investigations, were interrelated in antiquity and most likely hosted the nome capital, Metelis. Amy M. Wilson is an adjunct professor of History at the State University of New York (SUNY) Cobleskill, and has worked as an archaeologist in America and Egypt. She received her first MA (in Mediterranean Archaeology) from the University of Bristol, UK and her second MA (in Egyptology) from the American University in Cairo, Egypt. The Nile Scribes are grateful for Ms. Wilson’s willingness to participate in this new series. Photos are courtesy of Amy M. Wilson and the Kom al-Ahmer/ Kom Wasit Archaeological Project. Asolati, M., Kenawi, M., Marchiori, G. and C. Mondin (2015). “Alla Ricerca della Capitale Perduta, Kom al-Ahmer e Kom Wasit,” Archeologia Viva, 171, pp. 18-27. Habachi, L. (1947). “Finds at Kôm el-Wist,” Annales du Service des Antiquités de l’Egypte 47, pp. 285–287. Kenawi, M. and N. Larosa (2017). 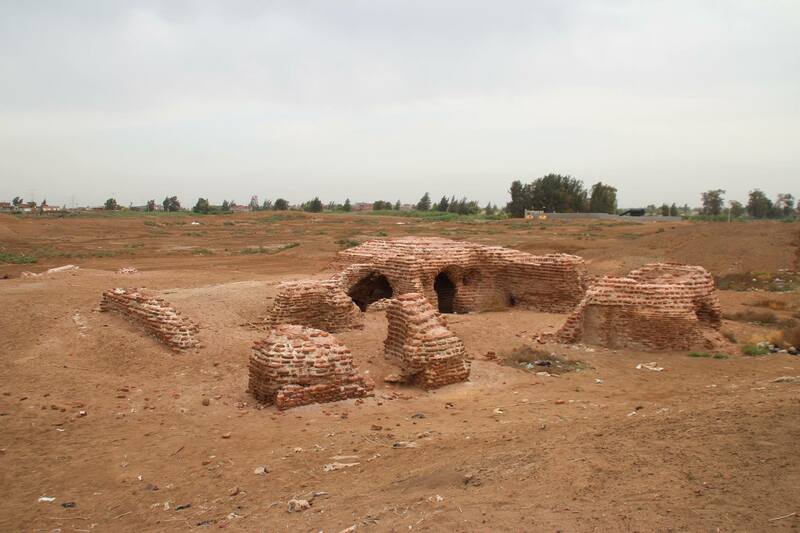 “The Tholos Bath at Kom Wasit,” In Collective Baths in Egypt 2: New Discoveries and Prespectives, Études urbaines 10, pp. 41–50. Mondin, C. (2016). “Late Roman imported red slip ware in the Metelis region (Alexandria, Egypt),” Journal of Libyan Studies 47, pp. 129-147.